One of my good friends first brought me to SoulCycle. She’s a Bay Area rider and while visiting me in SoCal, she convinced me to try a class at Newport Beach. I always played team sports in high school and I think having that background originally hooked me — the feeling that you’re part of something much bigger than just you. I've never been a treadmill or gym-type girl, so SOUL was refreshing. But it really wasn't until after my diagnosis of ovarian cancer and chemotherapy treatments that I became essentially SOUL-obsessed. I was 19 and attending the University of Alabama (Roll Tide!) when I was first diagnosed with stage 2B ovarian mixed germ cell cancer, which is incredibly rare. It was a long process before I was correctly diagnosed, but for my family and I it truly came out of nowhere. The doctors were shocked during my first surgery when they figured out my tumor was cancerous since originally it was believed to be benign. The only type of chemo that’s successful with the type of cancer I had is extremely tough on the body, so the doctors initially wanted to avoid me having to go through it. We decided to have me wait it out with constant surveillance to see if the cancer would return after the removal of my initial tumor. Sure enough, a month later, two tumors had grown back. By the end of my surgeries I had three tumors removed, my left ovary and also part of my omentum. I began the chemo immediately after, which involved three months of three separate rounds of BEP chemotherapy, which is the chemo used to cure boys testicular cancer since the cancer I had is so rare no cure has been found for it. Luckily, my body responded positively to the chemo and I have officially been cancer-free for over a year now. While in treatment, I had my first ride at SOUL. I remember the first song coming on and all of a sudden everyone came up out of their saddles and synced up like it was nothing. I felt so out of place, desperately trying to stay in beat with the two obviously experienced riders next to me. The instructor made it clear that the point of the class was to have fun and be free so once I allowed myself to just feel the music and community around me, it all came very naturally. By the end of the class, I knew I was hooked for sure. 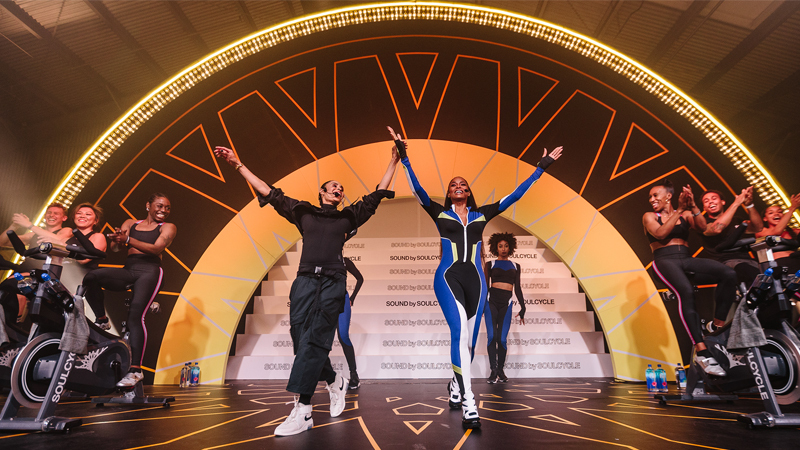 The great workout wasn’t the only thing that kept me coming back — it was truly getting the sense of community that SoulCycle built. My original home studio was in Newport Beach, so I moved to Santa Monica, it was daunting to go to a new studio. 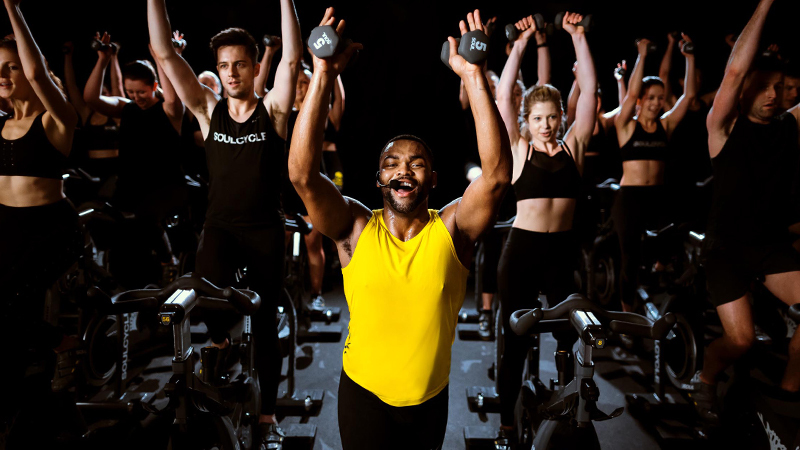 The instructors and staff of the Newport studio became so familiar to me, so I was nervous that I wouldn’t receive the same type of community feel that I loved about SoulCycle. Luckily, it didn’t take long before I had found new inspiring instructors at SAMO, the staff members caught on to my shoe size and once again SoulCycle felt like home. 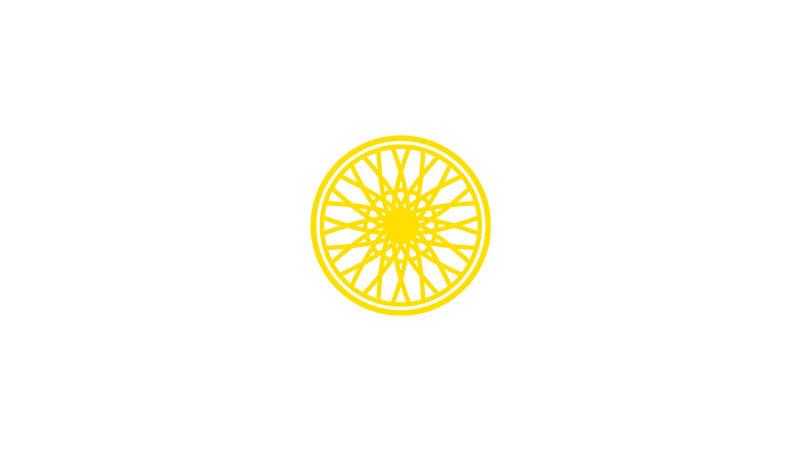 No matter the type of day I’m having, SoulCycle is always there to make it better. It has honestly turned me into a morning person, which I originally thought was impossible. I always leave the studio feeling energized and refreshed. A lot of the time I’m also able to contemplate and come to terms with different things that might be affecting me negatively in the real world. One instructor who’s really changed my life is Lindsay Buckley. I can’t count the number of times I’ve left her class in tears (in a good way) because of how inspirational she is. I’ve discussed my diagnosis with her — and she even hosted a charity ride for Children’s Hospital of Orange County, where her son was treated. This is the same hospital that saved my life and where I received my three rounds of chemotherapy. Lindsay has been so kind, supportive and an overall positive influence in my life. In fact, that charity ride for CHOC, has been my favorite ride at SOUL. It felt amazing to be able to give back to the place that gave me so much while also doing an activity that I love with a group of people who have become a community to me. It was also the only ride I have ever done with my mom. Needless to say, we both left the class in tears and it was a really beautiful experience for the both of us. Throughout this journey, I never would have survived without my mom. She relocated from our home in Laguna Beach to Alabama when I was first hospitalized and stayed for the three months during my diagnosis, surgeries and surveillance period, never leaving my side. She slept in my hospital room every night throughout my chemotherapy rounds and even at my darkest moments, when I truly did not see the light at the end of the tunnel, she never let me forget that it was there. She continues to drive me to every hospital appointment and has been so unbelievably supportive through my process of redefining my life and myself. I can’t put into words everything she has done, but I truly credit her with saving my life. My diagnosis led me to many of my new passions and gave me a totally new outlook and aspirations in life. Volunteering and giving back have become staples for my life and I know in the future I want to start my own non-profit for young adults with cancer. 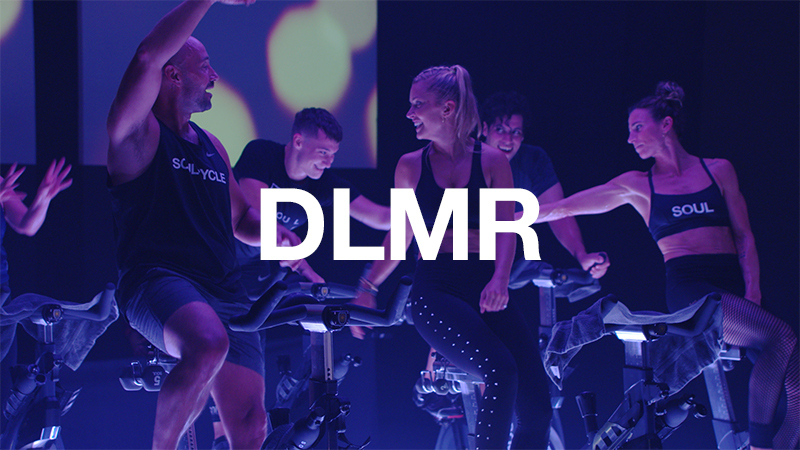 It also led me to become a much healthier human being, which is highly connected to my relationship with SoulCycle. I try to eat much healthier now, I work out everyday and I began working for a brand that is genuine to its healthy mantra and foundations, lululemon. 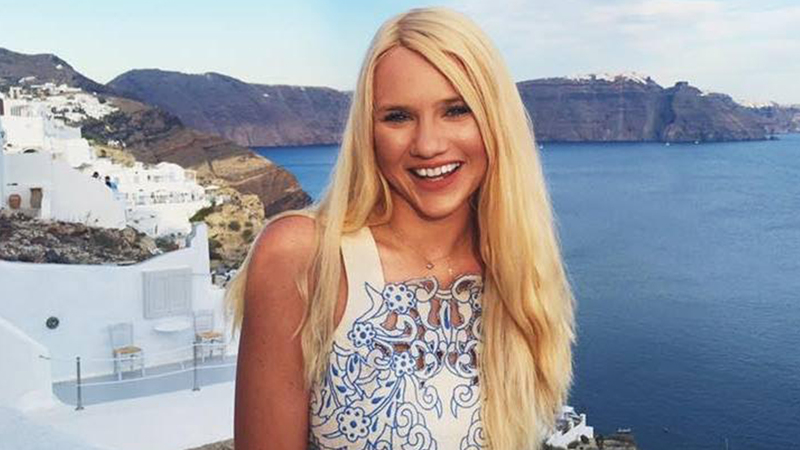 Though I lost a lot to my diagnosis and still have a lot of unknowns — including whether I am able to have children or not — I consider my fight to be an incredibly successful one. I actually consider myself to be very blessed. Though cancer stole a lot from my life, I gained a whole lot more. I have met so many inspiring people from my nurses and oncologists who still stay in contact with me today to the community of amazing people I get to surround myself with at work and also to the SoulCycle lifestyle I have adopted. My sickness led me to become a much healthier human being. I have come so far since being diagnosed with cancer. At first, it felt like my whole life was falling apart. When I tried to put it back together and be the same girl I was prior to my diagnosis, it only became worse. All I wanted was to be normal again; I didn’t want to be looked at any differently and I didn’t want to have to live my life any differently either. But over time, I began to realize that this journey has changed me, but today I can happily say I was changed for the better.